Supersonicsoul - The Sonics Blog! : Will Starbucks save the Sonics? SEATTLE -- Former Sonics owner Howard Schultz plans to sue to get the team back. The lawyer for Howard Schutlz, Richard Yarmuth, says he plans to sue Clay Bennett's Professional Basketball Club in the next two weeks to prevent him from moving the NBA franchise to Oklahoma City. Yarmuth says Bennett failed to make a good-faith effort to fulfill a promise made at the time of the 2006 sale to keep the basketball team in Seattle. Bennett had one year to try to put together a deal for a new arena. Those plans failed to get support from the city and the state. Recently disclosed e-mail between Bennett and other owners showed they were talking about moving the team to Oklahoma City all along. When I read talk about this from Enjoy the Enjoyment, I discarded it as idle chatter, but this is amazing. I wish the rest of the country would have some inclination as to how unlikely it is that the Sonics will leave. I think the prevailing opinion is that the Sonics are as good as gone, when in reality they are quite unlikely to leave, for a variety of reasons. It's wonderful to see people such as Stern and Bennett have to lose in public, since it doesn't happen nearly enough to blowhards such as them. This isn't enough to make me go to Starbuck's every day...the stab wound in my back still aches. But I may go over there, buy one, and lift it up with the words, "here's to a successful lawsuit!" Ok I agree that Shultz was a bad owner but we all have to agree he's better than Bennett. I honestly think that Shultz would not have sold the team to Bennett if he knew his plan was to move them all along. If that wasnt the case then why would he sue him? Unless he was just trying to protect his public image. Regardless go Starbucks! He could get the team back and then sell them to the microsoft guys! I agree--I don't care what Ho-Shu's motives are. If it helps keep the Sonics (or at least make Bennett's life hell) then I'm all for it! I'm with you on that, too, in the long-run, everyone will forget about Schultz' first move and only remember how he saved the team. Just like nobody remembers that Slade Gorton is a prick, only that he saved the Mariners and (it now seems) the Sonics. Remember, the NBA is not voting on Friday to see if the Sonics should stay in Seattle. The vote is to show whether or not they think OKC is an acceptable site for the relocation. The NBA as a whole do not give a damn about the Sonics. As a matter of fact Seattle as a whole does not care about the Sonics. If the city did they would not be in the predicament they are in now. The lawsuit has no merit. How can H.S. sue for something he lawfully sold. It will probably give him some positive stroke in Seattle, but little else. How can he sue for something that is not his and expect positive results, no way. To Anonymous: If you take the time to spout off your worthless comments can't you at least leave your name??? First, this is the best news I've heard in weeeks. Second, I love it because I guarantee Schultz still doesn't want to own the team. He only wants to salvage his name and reputation in the city of Seattle so I believe that he will re-acquire the team and then immediately re-sell it to Ballmer's group. That's the perfect scenario to me. "To Anonymous: If you take the time to spout off your worthless comments can't you at least leave your name???" Hey, lay off Clay--he's obviously new to computers. And spelling. "As a matter of fact Seattle as a whole does not care about the Sonics. If the city did they would not be in the predicament they are in now." There is a huge diiference between "caring about the Sonics" and using tax dollars to pay for a half-BILLION dollar stadium. If we caved into his demands, it would open the door to every other NBA owner to hold their fans hostage so they can bankrupt cities to pay for their businesses. A "good-faith effort" implies there would be some sort of negotiation--not a ransom note whose demands could never be met. He can sue because Clay Bennett is in clear violation of the "good faith" terms of the contract, terms which are spelled out in black and white for all to see. Sure, Schultz is more interested in saving face than saving the Sonics, but the fact his motives correlate with Sonics' fans is just a welcome coincidence. His 5-year plan might have been a foul-up, but this action would go a long way to fixing the problems he caused. I'm fairly new here, so I should preface what I'm about to say with this: I'm a Sonics fan, I want Seattle to have NBA basketball and I'm disgusted by what's happened over the past few years to make it possible for us to get where we are now. That said, I'm guarding my feelings about this latest last minute machination...because even cautious optimism seems rather pipe-dreamish and rose colored. It may be impossible to prove a failure of "good faith" in a court of law...because it is open to so much interpretation. So close to getting exactly what they want, there's little chance that this will make Bennett's group want to bail--they'll dig in their heels and fight. And, they'll likely have the full weight of the NBA on their side--because the NBA WANTS this to happen. And even if it DOES happen...we would STILL need to find a new ownership group, a new stadium scenario (as there's no current offer for either on the table at the moment--and with the impetus to do whatever it takes to keep the team here, if Howard actually re-snags the team...there isn't the extreme need for those elements to come together again)...and to do that all the while being league pariahs...and STILL we'd have a poorly put together, young team that will likely struggle for a few more years. I liked Cuban's approach better--one based on "Hey, why don't we want a team in a bigger market that makes us all more money? Hey, why don't we want to get Steve Ballmer in our group of owners as he'd help us all make more money?" Appeal to their collective sense of greed. After all, that's what Bennett's group did...and that's why Bennett has Stern and the other owners, not named Cuban, in his pocket. Seattle didn't deserve to have this happen to their team--but it DID happen...and as much as I want to believe in the Coffee Colored Knight coming in at the last minute to save the damsel in distress (the damsel that, of course, he PUT in distress)...I'm still resigned to the fact that this is one doodle that probably can't be undid. to sonics man: is "sonics man" any better than "anonymous"? i mean neither one is name and "sonics man" is just as anonymous as anonymous, and he makes a great point anyway. besides, who wants to sign up for a google blogger id anyway. it's much quicker to post anonymous. We wish you the best of luck in staving off this injustice. Thanks for the kind words. 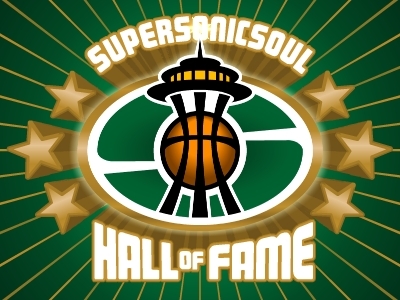 I'll be putting up a story either this afternoon or tomorrow relating how what is happening to the Sonics is something that ALL fans of the NBA - Seattlites or no - should be concerned about. Re: Anonymous. You're right, these names are all made up anyways, so it doesn't matter in any legal sense. That said, it's easier to keep who said what straight when you use some sort of name. For your second point, you're right, signing up for a google/blogger account is a pain in the neck, and an invasion of privacy to boot. With that in mind, you can always choose option #3 under "Choose an identity" and just type any old name in there, and thereby forego having to sign up for anything at all. That's what I always do. Interesting PR move by Howie. Still wondering if Stern has "studied" Clay's emails. While I'm still skeptical that this lawsuit will ultimately keep the Sonics in town, any feasible attempt to keep them here has my full support. Up until today, it can be argued, Howard Schultz has been the lead villain in this horrible scenario, since he sold the team to an out-of-state buyer. I've been prepared to boycott Starbucks and curse Schultz's name until I take my final breath, but no matter how this turns out, at least it shows that Howie has at least SOME remorse about how this turned out. Also, to anyone here who isn't a Seattle sports fan (or even someone from Oklahoma) I think it should go without saying that relocating a team with as much history as the Sonics have in Seattle is just evil. I understand that people in OKC want an NBA team, but it is still supporting evil. It was a sin for the Browns to leave Cleveland, for the Colts to leave Baltimore, and for both the Giants and Dodgers to leave New York. This is just as wrong. Hopefully, Schultz can prevent this atrocity before it concludes. I was with you until you included the Giants and Dodgers in your list of team relocation crimes. Other than missing out on the coolest domed stadium that might have ever been (R. Buckminster Fuller, no less! ), the Giants/Dodgers move was both necessary and beneficial. Moving from Seattle to OKC is stupid...and the public relations efforts to try to strip the stupid out of it are what makes it so offensive. It's like the faith healer blaming the cripple for not believing enough, so it's their fault that they didn't actually get healed. Nobody blamed Brooklyn for not loving the Dodgers enough. And, if Schultz actually reverses the momentum of linear time, reverses his errors, and reclaims the Sonics for Seattle...then this avowed atheists might actually start to believe in miracles. I'm holding my lighter up for you folks. It's funny how much of the counterpoints attack Seattle/Washington Politicians for not ponying up to Bennett and co-conspirators, but they are doing exactly what I would hope from them: guarding tax payers from ill-advised business dealings, in this case coughing up millions (a half billion really *vomit*) to terrorists holding the city and team hostage. this is blackmailing at its finest and the league is condoning this. unbelieveable. it's sad that more fans aren't getting behind this. i'm a gsdubbs fan who's being real. eventually the oracle will not have enough luxury boxes that the town will have that proverbial gun to its head. something, that aside some mythical team pride, we seem to get nothing monetary in return. i hope we stand up against the nba as well. i'm not coin scraping for nobody. I'm not sure what I said warranted my comment being deleted (other than because it was too long, perhaps), but I agree that the Giants and Dodgers move isn't comparable to the Sonics move. I also agree that, due to financial reasons, those teams probably had to move. To be perfectly fair, there is no way to compare a baseball team relocating in the 1950's to an NFL team relocating in the 1980's to an NBA team relocating in the 'Aughts. My comparison merely focused on the social impact. What I'm really trying to say is that the Sonics moving to OKC is A LOT WORSE than the Grizzlies moving away from Vancouver, or the Hornets moving away from Charlotte, or the Kings moving away from Kansas City, or even the Clippers/Braves moving away from both Buffalo and San Diego. I think a lot of people outside of Seattle underestimate the impact the Sonics have had, and ignore it as just another team moving away. I think the Sonics moving is one of the most prominent franchise shifts in the history of basketball, which is just another reason why I'm baffled that David Stern has been so vocal and enthusiastic about screwing us all. I don't know what happened to your comment, JL. I think I'm the only one (besides the author) that can delete comments, and I know I didn't do it. Maybe it was a Blogger glitch. Anyway, sorry! @Paul: no, my 1st comment is still there, I'm just an idiot today. Unlike David Stern, who is an idiot every day. You know, I don’t blame OKC for wanting a big-league team. I don’t even blame them for wanting another city’s team—relocation is as old as pro sports, so why should they feel particularly guilty? But their sanctimonious, holier-than-thou attitude is truly unbelievable. Has any pending pro sports town ever been so arrogant, so utterly lacking self-awareness? They think that two years of rent-a-team gives them the right to lecture us on how to be a basketball town? Because attendance has been down for a little while? Hey, OKC, check out how attendance declined in Boston during the Celtics’ lean years. Or in Detroit when the Pistons stunk. Look and see how many fans Chicago drew the year before they drafted MJ. Or Indiana right now or before their glory days. As Merrill mentioned a while back, what about Philly? Heck, check out some of their attendance in the years they had Dr. J. Are all of those cities crappy sports towns? Do they deserve to lose their teams? “Oh, right, those folks in Indy sure don’t appreciate basketball.” What small-minded nonsense. OKC fans apparently truly believe this way. It’s useless to try and explain our side to them. They’ll just call you classless whiners and crybabies. They blame us because we’re trying hold onto our team, rather than let these lying scumbags off the hook. You should have read the crap they posted following Sunday night’s game. They couldn’t even let us enjoy what might be the last game in franchise history without rubbing it in or telling us how horrible we are. No thoughtfulness, no decency. None. Just selfish repetition of the same old B.S. arguments. They have no understanding of the long-term dilemmas of being a sports town, so no wonder they feel justified in their simple, self-serving conclusions. Just to clear up any confusion, I deleted my own post to correct a spelling error--only to put up another spelling error when I reposted it. And now, to add to what Jas just wrote... The lack of VERY RECENT fan support for the Sonics can be tied ABSOLUTELY to purposeful actions to reduce that fan support. This team had such a wonderful collection of distinct individuals at the same time that it achieved great success. The Sonics may have made the same mistakes that the Mariners made in trying to hold those unique individuals together longer than perhaps they should have--and thus, when those players all did eventually filter out...it left a personality gap that, combined with a lack of comparable success, is part of the natural ebb and flow of any pro sports team. 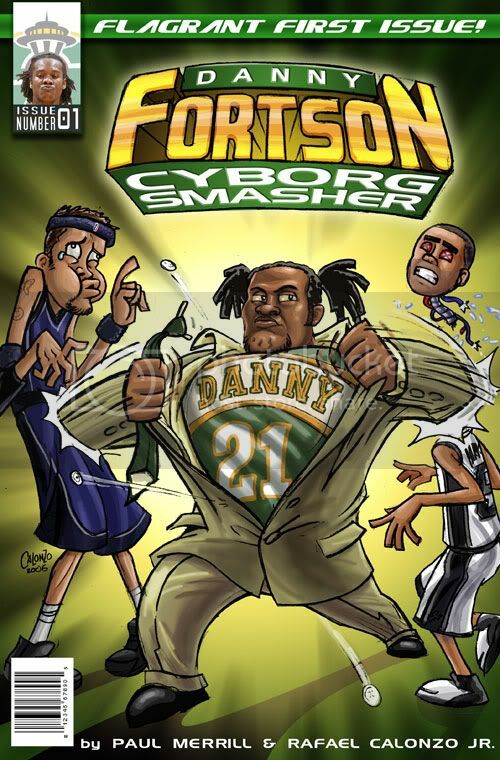 I'll say this though...when the ping pong ball miracle happened--and, for a brief moment, it was thought that this team would have Ray Allen, Rashard Lewis and Kevin Durant...and a new GM that probably wasn't going to continue making personnel decisions merely based on the owner's whims and easily bruised feelings...I WAS READY TO COME BACK AS A SEASON TICKET HOLDER. ...but it became very clear that any and all hopes for this season were being wrung out of the fan base that the new OKC-bound owners were fully intending on blaming to allow them to get out of their lease. This town WANTS to continue to love this team. You just can't give us dog food, expect us to pay Metropolitan Grill fillet prices for it, demanding all the while that we pay for a whole new restaurant or you'll take the dog food away. A fan base ebbs during rebuilding, that's natural...just as natural as when a fan base disappears when bullied, lied to and slapped in the face. But, give us something good...give us hope for something good...and certainly this town will support this team. Just what Howie was hoping you'd say. Schultz has good reason to sue for fraud. After all he turned down making an additional $75 from the San Jose group just so he wouldn't have to take the heat for the team leaving until after the lease expired. He was going to sell the team to an out of town buyer regardless. My Starbucks boycott stands. I also want to chime in and say that I have no animosity against OKC fans....unless they make the mistake of mocking a fanbase that's currently in the middle of a corporate mugging by Clay Bennett. Really, go ahead and root for your new team (as long as it isn't called SuperSonics) as much as you want when it arrives, but until then SHUT UP!!! Any team that relocates is wrong, but it is a matter of degree. Can anyone say that the Grizzlies moving to Memphis compares in any way to Houston losing the Oilers? No, just like the death of a random homeless person just doesn't have the same impact as the assassination of President Kennedy. Both are murder, both are evil, so there is no point in trying to argue that just because other relocations were worse, and people don't complain about it anymore, doesn't mean that the Sonics leaving is somehow tolerable. Every death is a tragedy, so there is no point in squawking just because other teams have moved in the past. Really, making fun of the Sonics moving is almost as bad as going to somebody's wake, and making fun of the deceased right in front of their family. Course... the bashing has gone both ways...Perhaps its simply human nature. I agree with Nuss. I think so many people have overblown the effect of the lawsuit, because of the natural effect in the past to go for the money. If Bennett doesn't have those tax improvements in OKC what real motivation does he have to move the franchise to OKC? He wants his money out of this deal, and he wants a team in OKC too. I don't get, really don't, how little people understand the total dynamics of this. However I will say this to everyone here. I am a Kings fan, and am proud of it. I don't see how comparing the Kings moving to the Sonics "potential" move is in any way similar. Gregg Lukenbill, the Kings first owner, didn't break the lease in KC to move to Sac. When he got there he didn't just build one arena, he built TWO. He eventually sold because he could no longer afford it. He NEVER had the type of money Bennett and his partners had. So, while I seem bitter over the comparison, mostly I don't think it holds water. I wish every Sonics fan got their actual wish: That the team will stay and this won't come up again. I hope so too. There is no business moving the Sonics away from Seattle. Let me also say this since I forgot to mention this in my blurb about Luke. The Kings now have been longer in Sacramento than they ever were in Rochester, Cincinnati or Kansas City. David Stern did his little tap dance on M&M this morning. After listening to his double talk it seems evident, no support from the NBA. They will be backing their owners and the OK posse are the owners (thanks to Howard Schultz). The lawsuit seems to me a very mediocre attempt by Mr. Coffee to save face and still be able to walk down the street safely. Intent is extermely hard to prove. I just wish city, state and billionaires would have decided grow a set earlier. You guys are missing the point. Schultz's lawsuit isn't about negating the sale. It's a delaying tactic designed to keep the Sonics here and encourage the city to hold fast in it's suit over the Key Arena lease. Lawsuits can go on forever, especially when one party is a billionaire, and if Schultz's lawyers play it right, Bennett could be stuck here for the next few years. This gives the Ballmer group more time to work out the details re the renovation of the Key and forces Bennett & company to absorb big losses if they want to keep the team. Basically the lawsuit puts heavy pressure on Stern & Bennett to accept a solution that keeps the Sonics in Seattle. I think a likely outcome is a franchise swap involving the Grizzlies or the Hornets (remember the NBA has long been looking for an excuse to get rid of Shinn). Jumbo is right on target. It's all about bleeding Bennett and his partners. IF the city emerges victorious and Bennett has to stay in Seattle for two more years, the city and the fans will hold considerably more leverage than they do now. Add in to that mix Ho Shu's (love that name, Paul) lawsuit, and now you're talking some serious bargaining power. wish you a nice day. Good Luck!